Are you in Edgware or the surrounding area and currently looking for a reliable & professional company for your Boiler Repair work? Emergency plumbers Edgware are just a phone call or email away from being with you to help, whether you are a homeowner, landlord or commercial client in Edgware we can help, 24 hours per day, 365 days a week. Boilers can be fixed or replaced by our gas safety registered, experienced engineers. They can be with you within an hour for boiler repair Edgware. 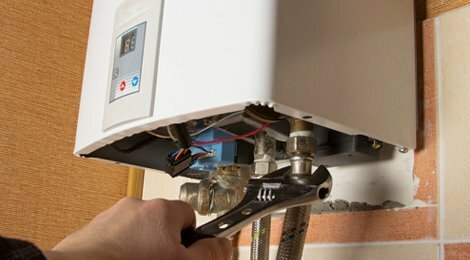 We understand that getting your boiler repaired is extremely important, especially if you have a family dependant on the hot water and heating, and even more so in the winter months. Our Edgware based plumbers are professional, diligent and fully qualified for your peace of mind. Getting your boiler safely up and running again is our number one priority. Please note that If your boiler is currently experiencing leaks, making unusual noise, smelling strange, losing pressure or failing to generate heat it is vital you contact emergency plumbers Edgware as soon as possible, so we can quickly identify and fix your potentially dangerous or at least very inconvenient problem. Sometimes Boiler Repairs can cause disruption to you and your family, however we understand the need to get it back up and running very quickly- our professional team can usually fix your boiler issues in Edgware within a day. We are available 24/7 for any type of boiler repair and replacements. We will always advise the best course of action for your situation and budget, considering cost, the environment and the speed of getting your boiler fixed. If you are based in Edgware, Watford, St Albans or the surrounding area and need your boiler repaired today give us a call – the first choice and most highly rated for boiler repair in Edgware. Need a boiler fixed, replaced or installed?